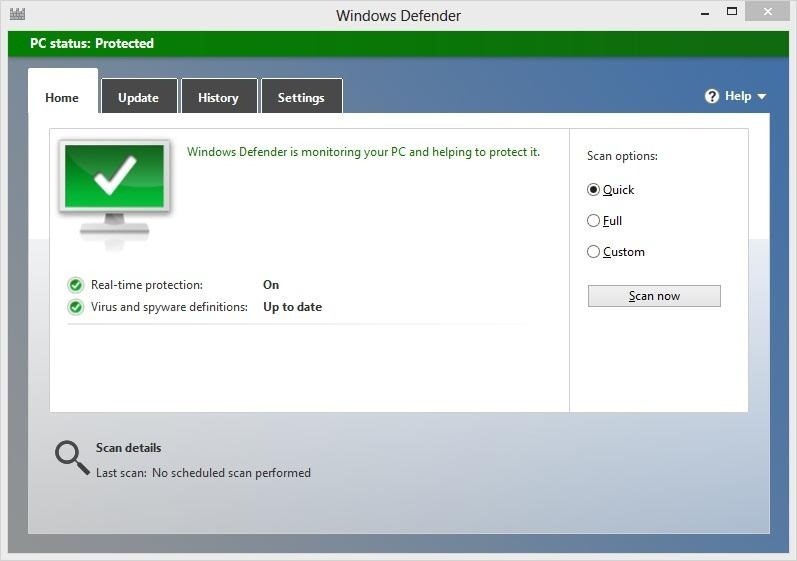 Windows has its own built-in antivirus program called Windows Defender, which kinda sounds like a sweet arcade game, but it actually does a pretty good job of protecting your Windows PC from spyware and malware. There is one problem, though. 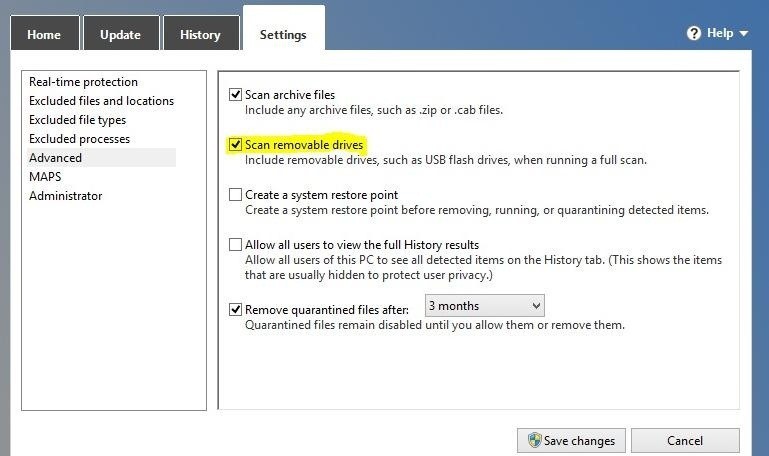 If you use external and other removable drives, Windows Defender does not scan these drives by default. But, you can make Windows Defender scan those drives—you just have to change a setting. 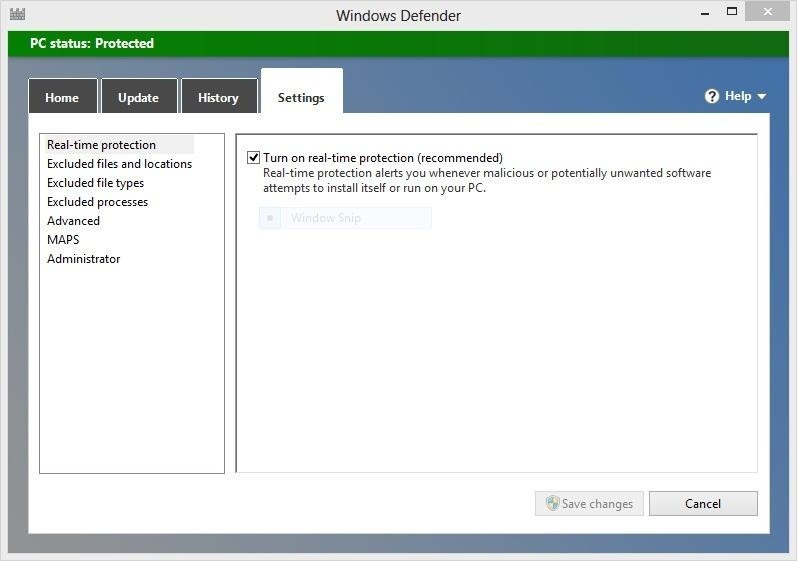 First, you will need to open Windows Defender by typing it into the Start Screen. The icon should look like a wall of gray stones. Open it up and you will be taken to this menu screen. Click over to the Settings tab. Once there, click on Advanced. When you have that open, check the box that says Scan Removable Drives. Then, just click Save Changes and you are good to go. Now, anytime you run a full scan when a removable device is plugged in, that device will be scanned as well. Is it will automatically remove the detected threats?